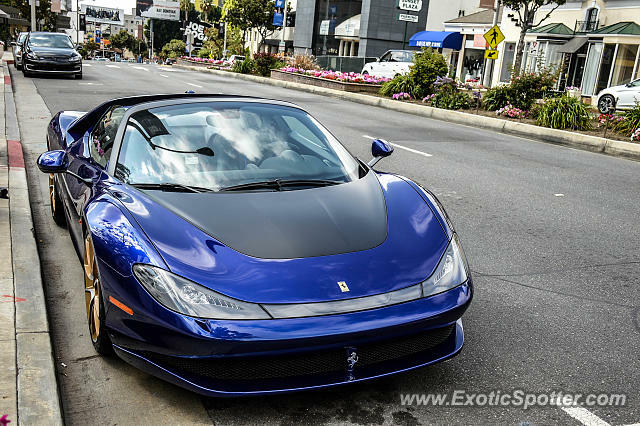 WTF A Ferrari Sergio spotted in the wild! Nobody was expecting this to happen but @lifeofferrari actually brought out this super rare beast for a nice Sunday drive! This one is different from the other 5 because it has a LaFerrari center console and the car itself is based on a 458 Speciale Aperta which is worth a lot more $$$ than the rest! I’d like the car a lot better if the headlights didn’t connect in the middle and were just regular headlights. wow, you've changed my mind about this car, i actually like it now. this colour and this angle - just wow!